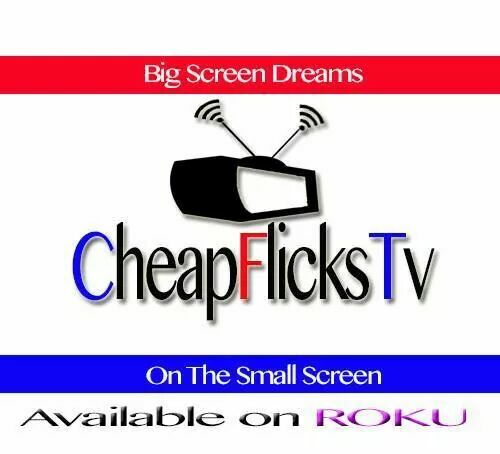 As the NEW destination for the best in TRUE independent movie streaming, CheapFlicksTV provides its subscribers with choice original content that can be watched instantly through ROKU. For filmmakers, CheapFlicksTV is a digital television distribution company, which supports your desire to produce quality films based on their storylines instead of on their budgets. In the past, filmmakers have been forced to either sell out or go broke in order to secure a distribution channel. Hoping to catch a break, these same filmmakers spend even more money submitting their works to festivals, and few of them ever receive returns on their investments. We at CheapFlicksTV say it is time to put an end to this struggle to find audiences. 1) To even the playing field so independent filmmakers can compete for audience attention against their BIG STUDIO counterparts. 2) To act as a distribution hub for original content creators who are looking to produce something better than BIG STUDIO knockoffs and remakes. It is time for filmmakers to get paid and be discovered by those looking for something different. Through CheapFlicksTV’s unique revenue-sharing model, filmmakers get paid for every subscriber, and audiences find new refreshing stories that the BIG STUDIOS over look.